Product prices and availability are accurate as of 2019-04-17 19:11:20 EDT and are subject to change. Any price and availability information displayed on http://www.amazon.com/ at the time of purchase will apply to the purchase of this product. 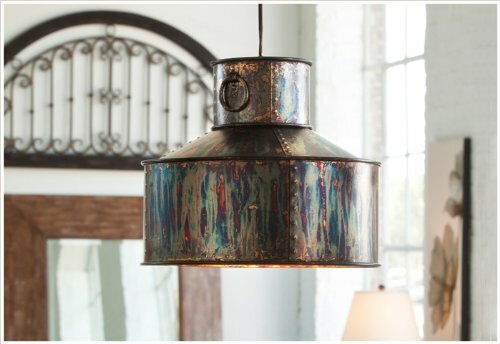 Sure to add a rustic charm to any room, this pendant light features a metal shade modeled after traditional milk cans. 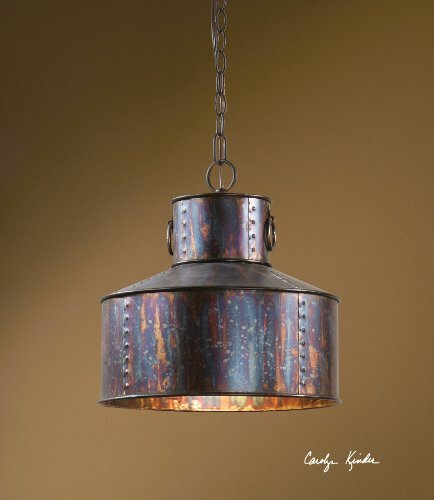 The metal is completed with an oxidized bronze finish that adds a brilliant rainbow of color.